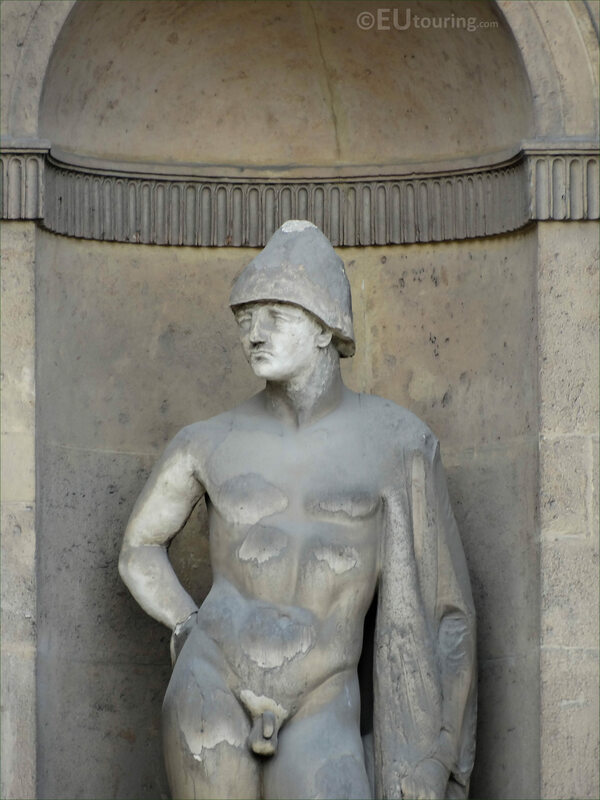 Again we were in the 1st Arrondissement of Paris at the Musee du Louvre, when we took these high definition photos showing a statue called Paris, Prince of Troy, which was sculpted by Antoine Etex. This first HD photo shows a statue called Paris, and in ancient Greek mythology he was the son of Priam and Hecuba, who were the King and Queen of Troy, and is recognised for a couple of different stories, with one being where he fatally wounds Achilles in the heel with an arrow, hence how the term Achilles heel came about. However, it is the stories relating to Paris, the Prince of Troy, either abducting or eloping with Helen that are the most widespread, and Helen was reportedly the most beautiful female married to King Menelaus, yet because of these stories she became referred to as Helen of Troy, and this act by Paris and Helen was what instigated the Trojan War. 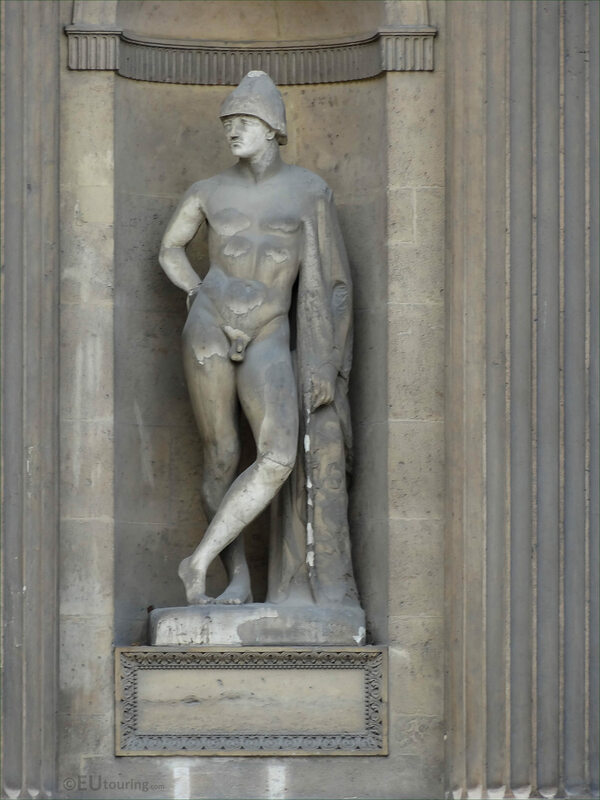 But getting back to the Paris, Prince of Troy statue, this was produced by Antoine Etex who was born in Paris in 1808 and followed in his fathers footsteps to become a French sculptor, Entering the Ecole des Beaux Arts and studying under James Pradier. Antoine Etex was also able to study for two years in Italy and upon his return to the capital city received numerous different commissions for statues and sculptures, with his most famous works probably being the two monumental groups on the Arc de Triomphe, yet others can be found at other tourist attractions such as Madeleine church, the Avenue du Trone, the Les Invalides church and three for the former Palais du Louvre. 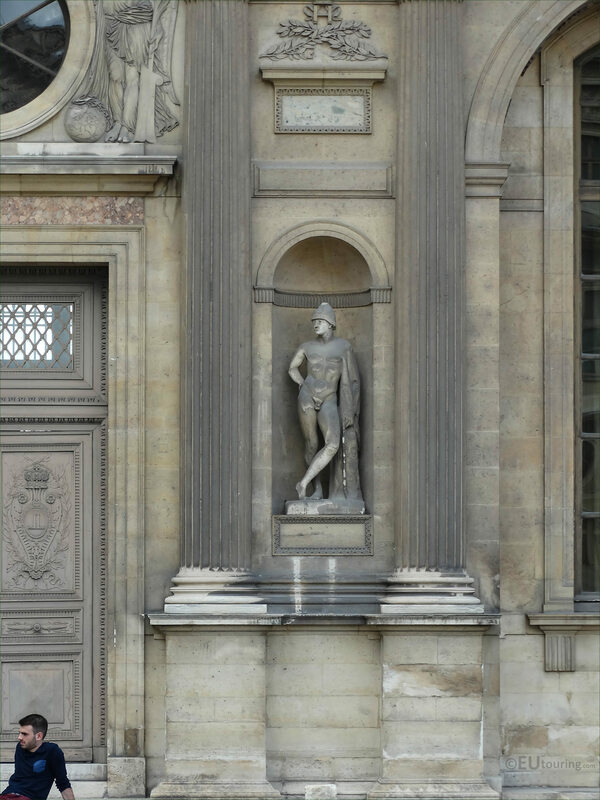 Yet here you can see the location of the Paris, Prince of Troy statue positioned within a niche on the Aile Lescot, and when you are looking at this facade from the courtyard of the Louvre Museum called the Cour Carree, you will see that this is the fourth statue from the left hand side. And this is on the central part of the historical Aile Lescot wing on the ground floor level, and next to the statue of Paris, Prince of troy, to the left of the door, you will find the statue of Helen, Helen of Troy, which was also sculpted by Antoine Etex.